Anil D Sahasrabuddhe, AICTE Chairman has said that such colleges will be closed down from the next year. 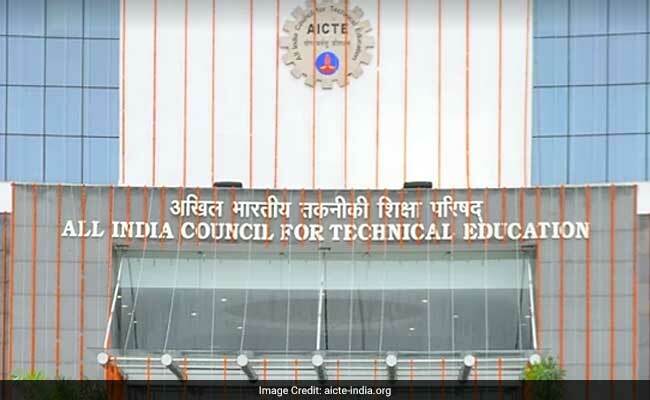 New Delhi: All India Council For Technical Education (AICTE) has decided to close all the technical colleges which have less than 30 per cent student intake in the last five years. Anil D Sahasrabuddhe, AICTE Chairman has said that such colleges will be closed down from the next year. As of now, close to 27 lakh engineering seats are lying vacant in the country out of 37 lakh sanctioned capacity. At the two day world education summit, he also said that addition to this, he also said that AICTE has formulated the National Student Startup Policy to cover the reducing job opportunities. The Summit was inaugurated by Kiran Maheshwari, the Minister of Rajasthan Technical and Higher Education. "State-of-the-art language labs will be set up in about 220 government colleges in Rajasthan starting this academic session as in this era of globalisation knowledge of language is a necessity," she said while addressing the gathering. In total 10361, AICTE approved, engineering colleges are functioning in the country. "In the past few years, the ACRE has been actively working on reducing the quantity of engineering institutions across the country due to poor demand and falling quality of education. We have also reduced the penalty for closing down an engineering institution that was a deterrent for many colleges which were willing to shut amid poor demand." Anil D Sahasrabuddhe said.